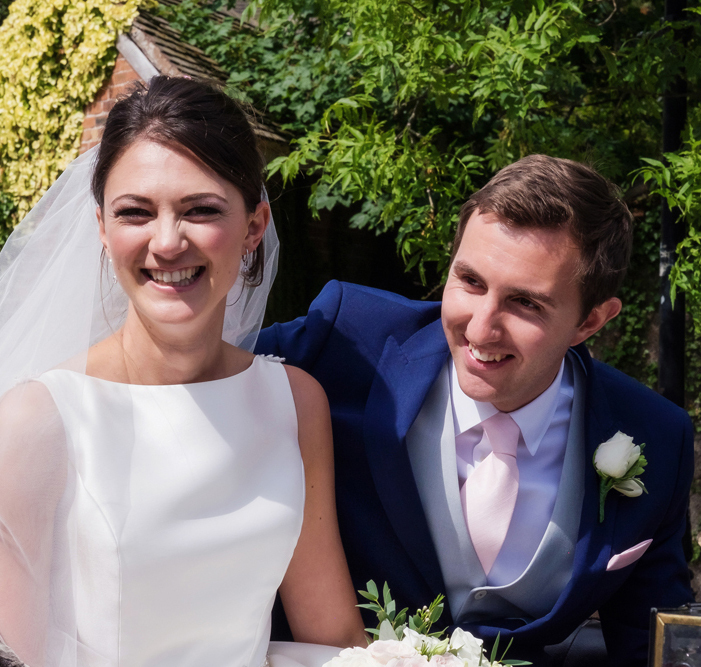 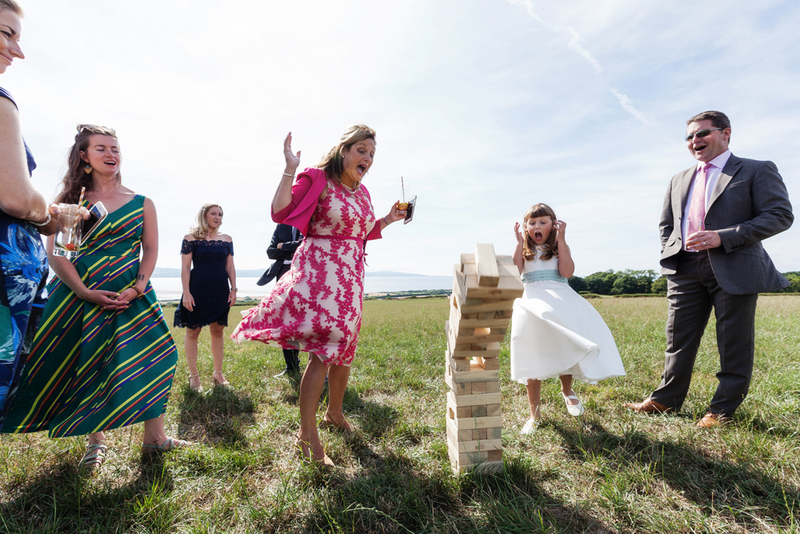 It was clear from our first meeting with Sarah and Mat that their wedding would be a relaxed, fun and friendly affair. 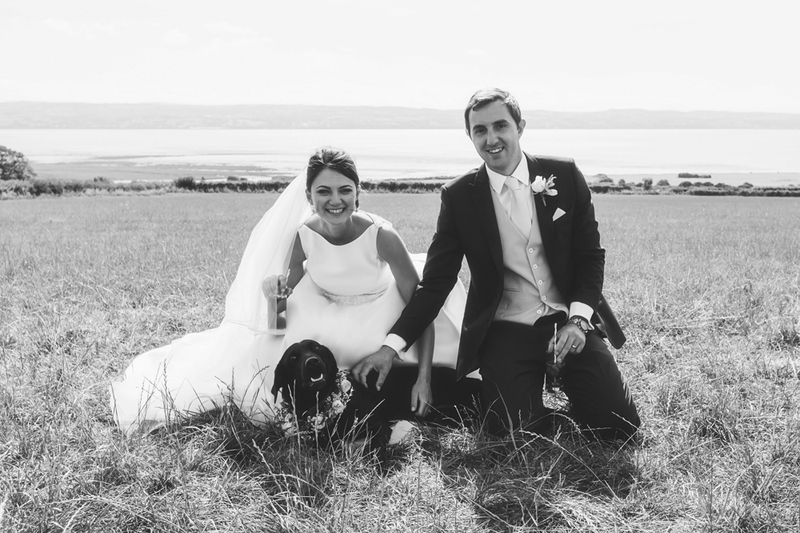 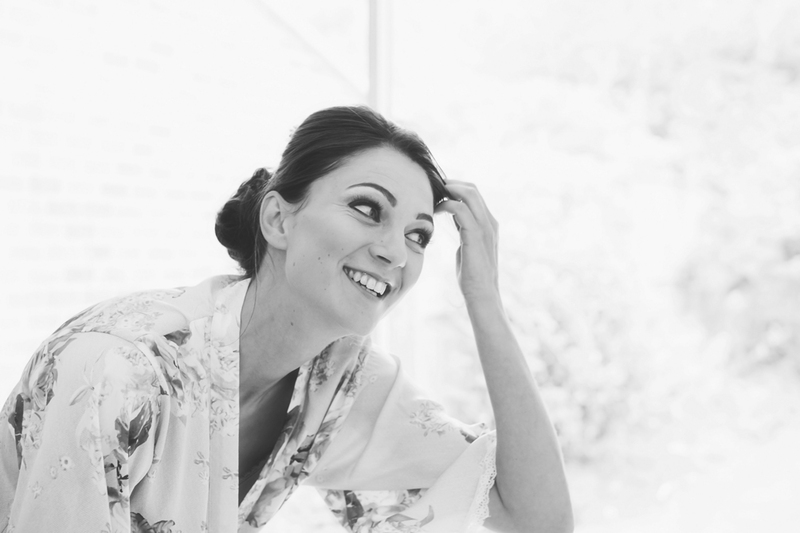 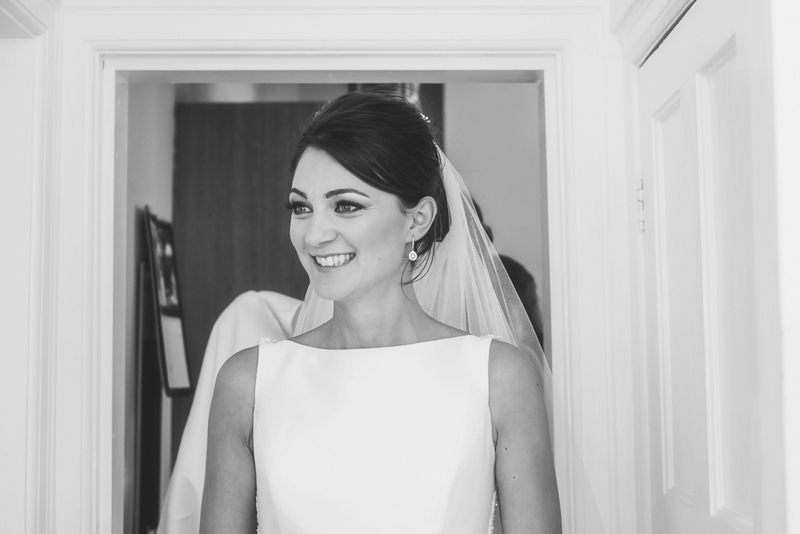 This lovely laid-back couple wanted a naturally elegant day surrounded by everyone they love. 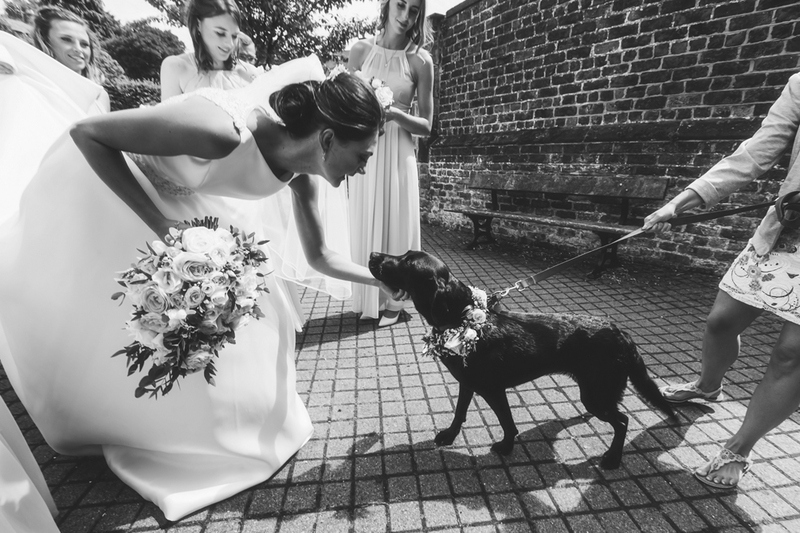 It was important to them to keep things local and to keep things personal and that included involving a dog, a horse and a sailing boat if possible! 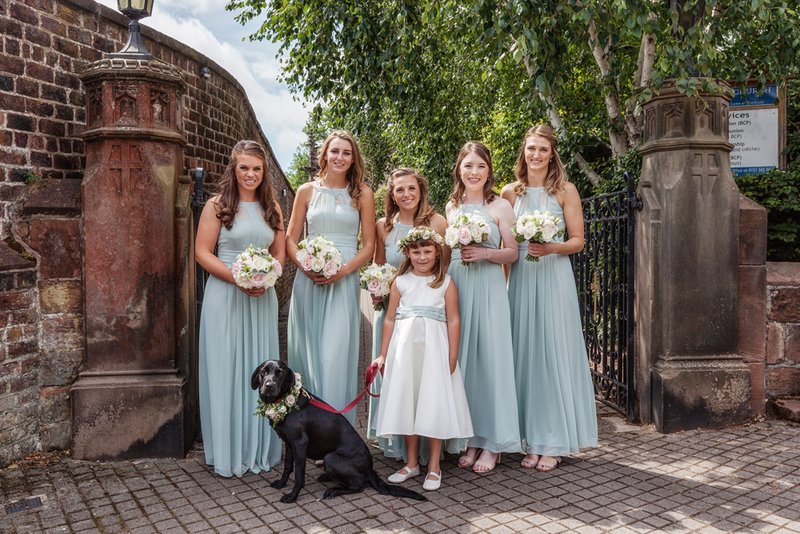 They chose their venue whilst out walking the dog, so it was only natural that she should get an invite! 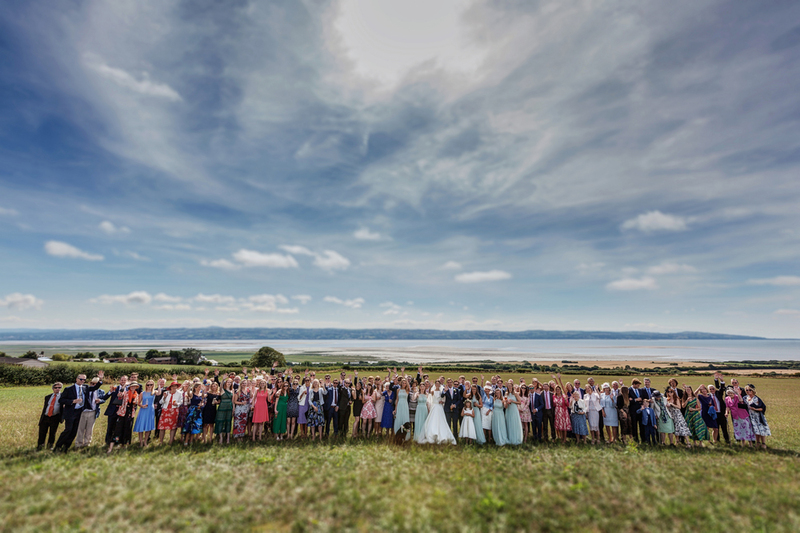 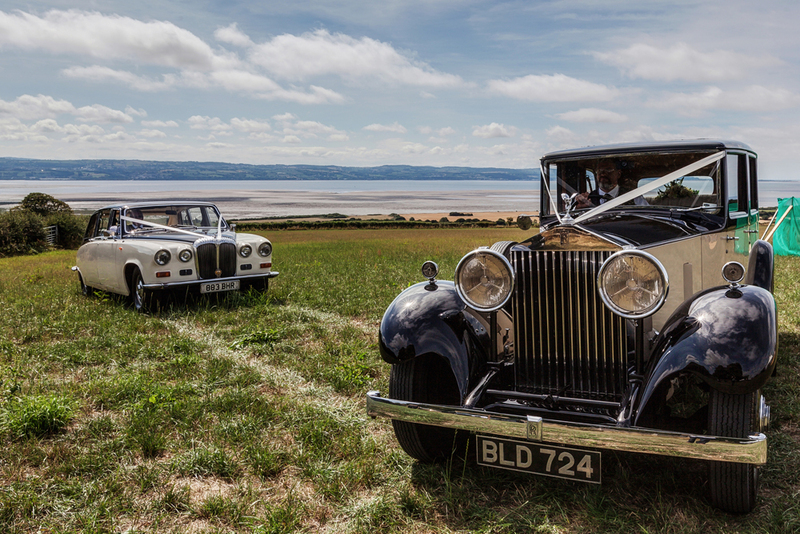 The extra special setting, with unrivalled views over the Dee Estuary was where Mat grew up and the perfect choice for them. 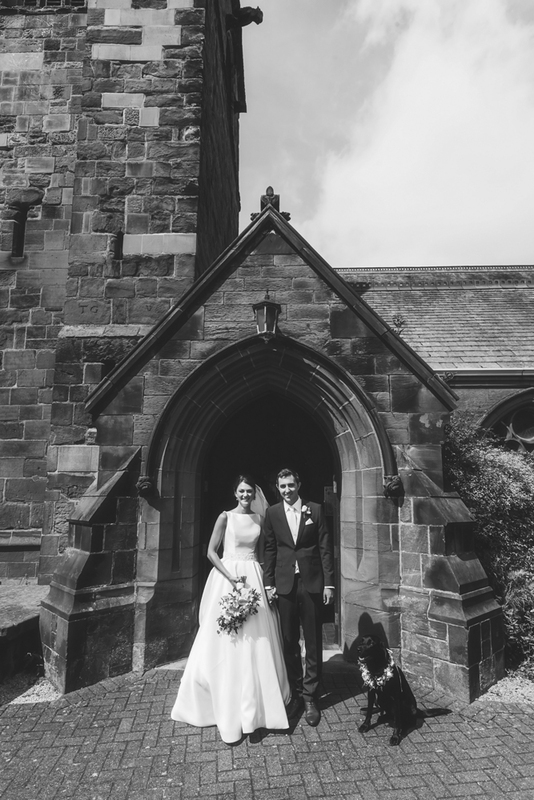 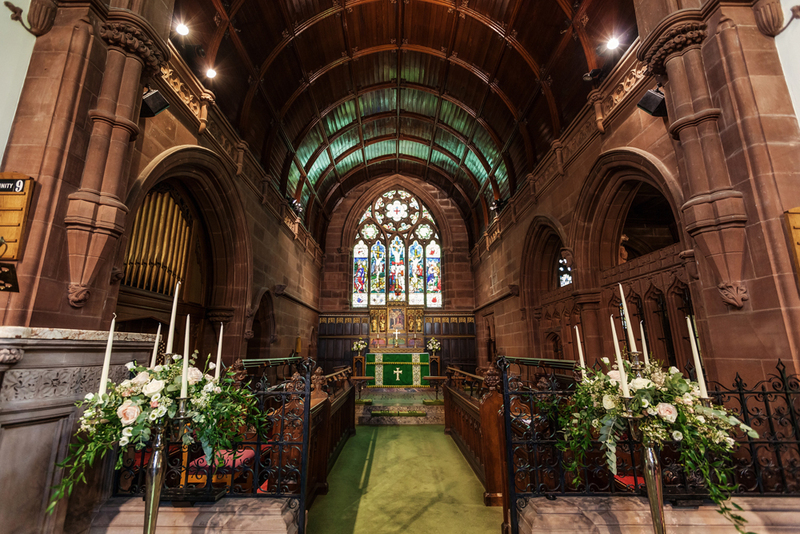 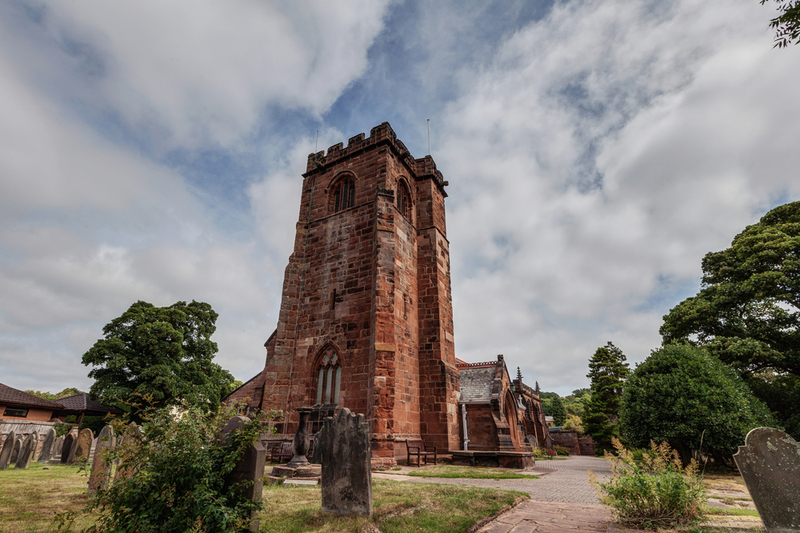 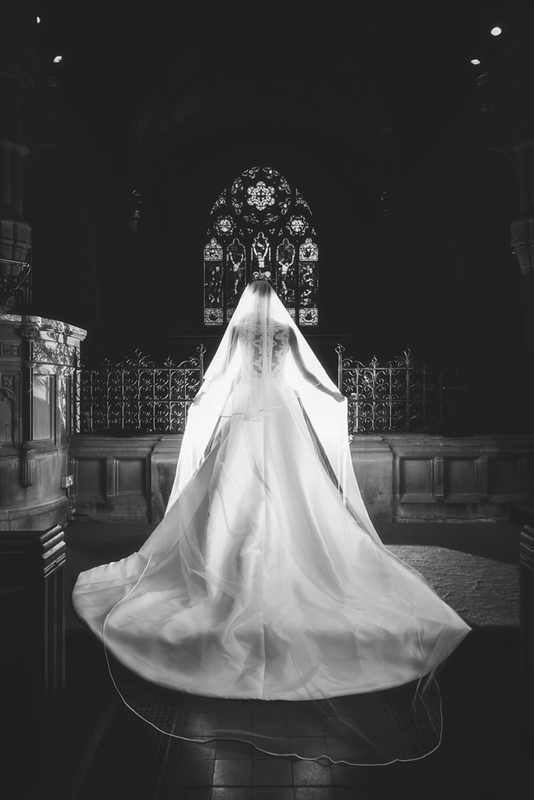 The couple opted for a religious ceremony at their local church. 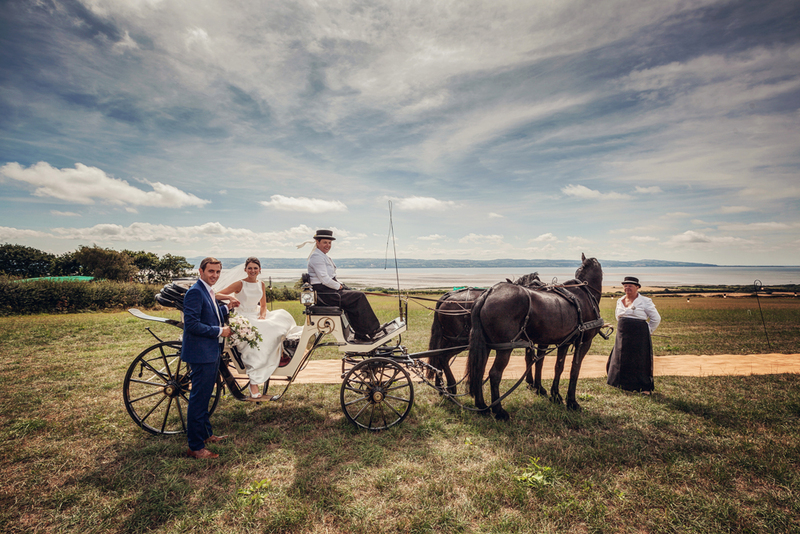 Sarah arriving in a carriage pulled by two beautiful horses, a fitting substitute for her own horse – who was a little bit too naughty for Sarah to trust on the day. 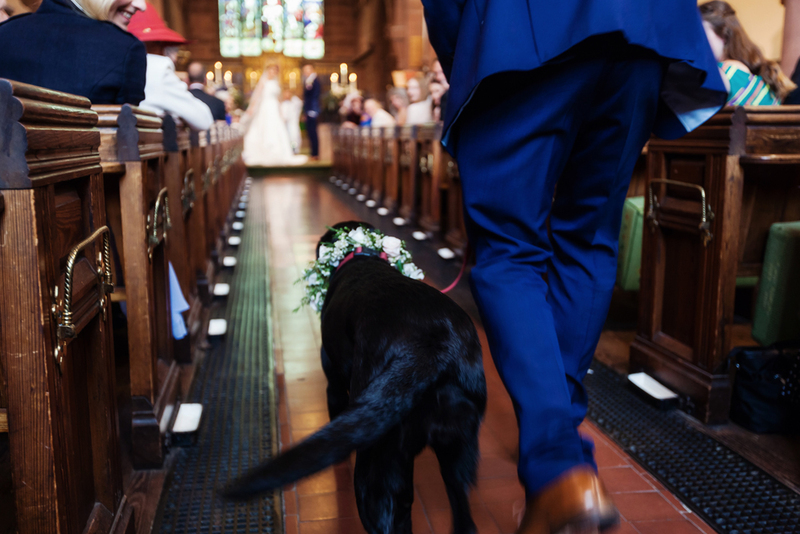 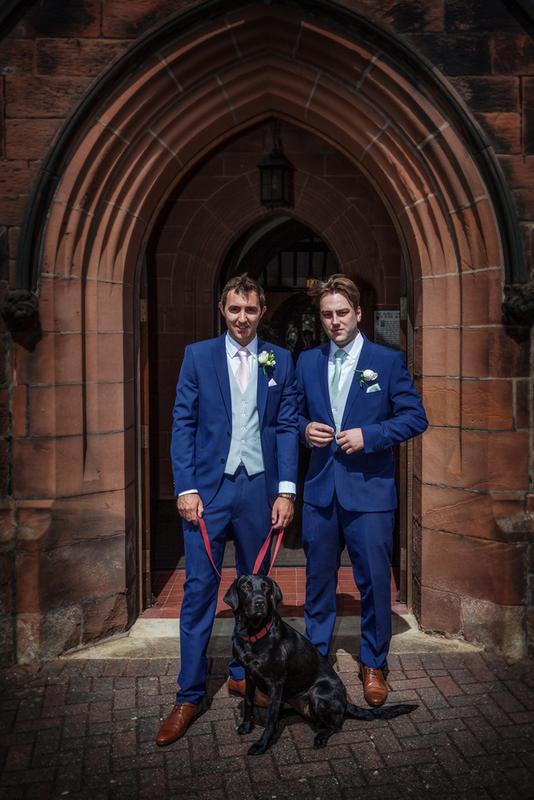 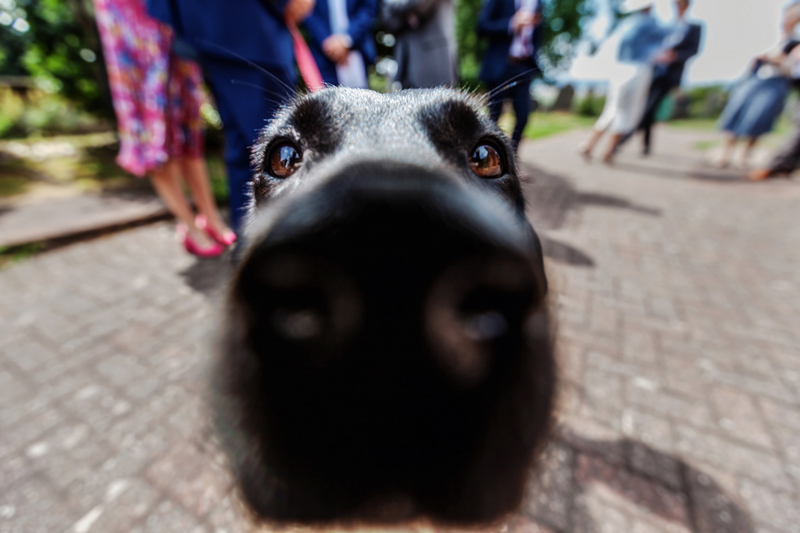 With a live harpist, beautiful blooms and an organist who learnt a Coldplay number for their recessional march this ceremony had it all – but the highlight had to be Django the doggie ring bearer!!! 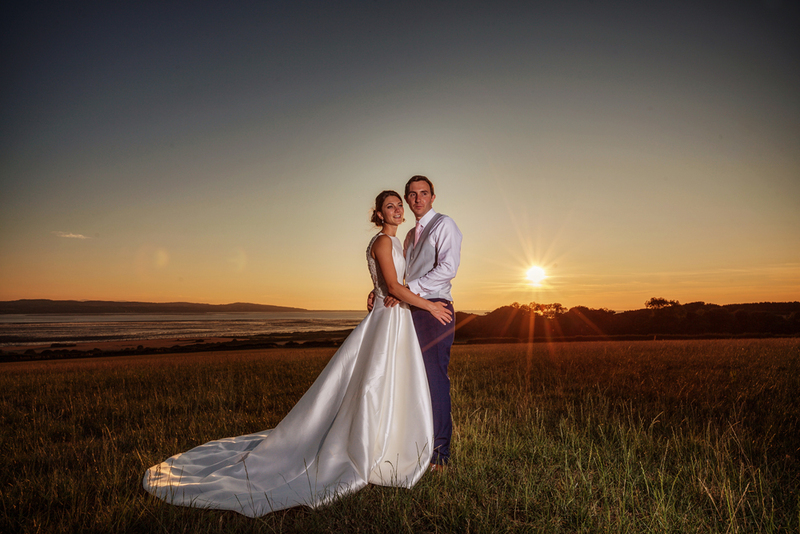 The gorgeous summer’s day meant that on arrival guests were able to truly appreciate the amazing view during the drinks reception. 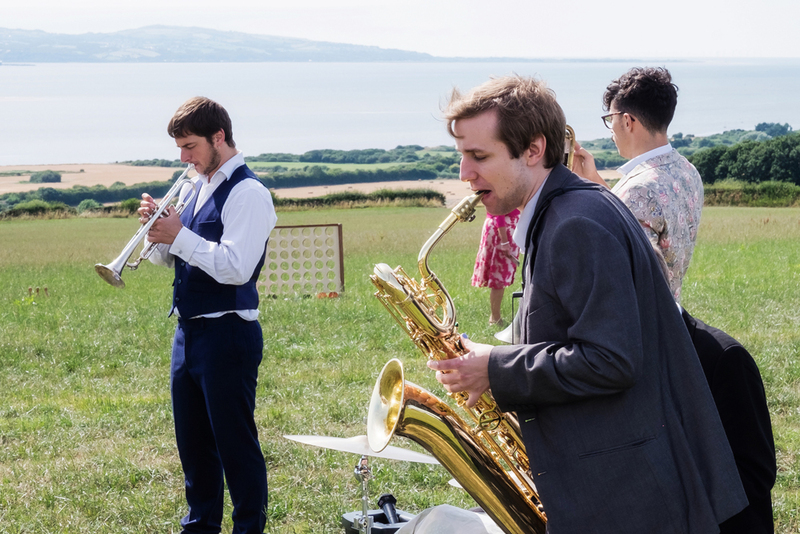 They sipped on Pimms and tucked in to delicious canapes whilst they either relaxed listening to the funky modern brass band or they took part in one of the many lawn games that Mat and his best man had put together for them. 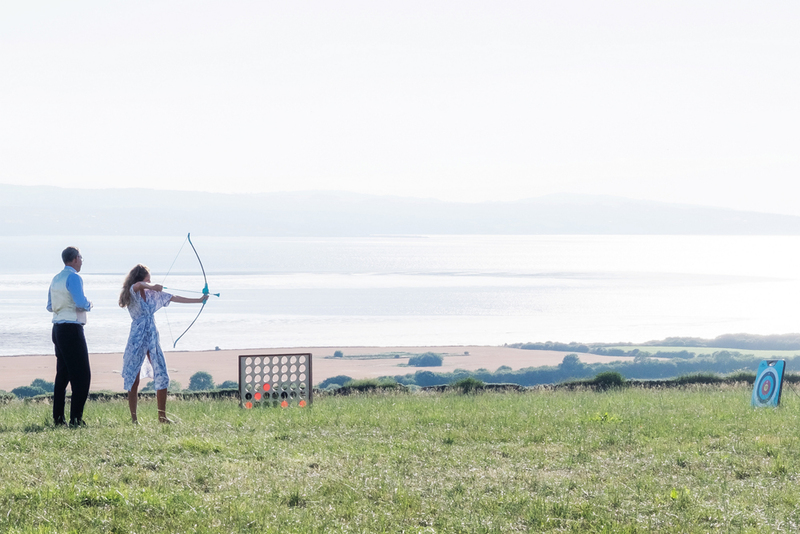 From a coconut shy to archery everything was covered! 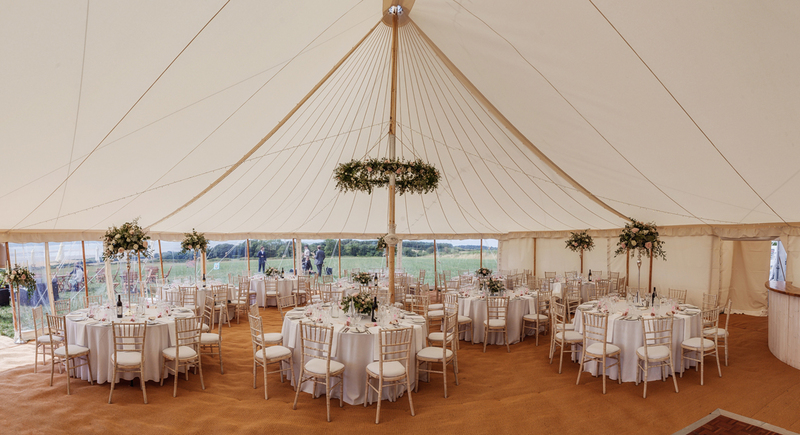 As guests took their seats for dinner they were wowed by the gorgeous floral décor and all the personal details. 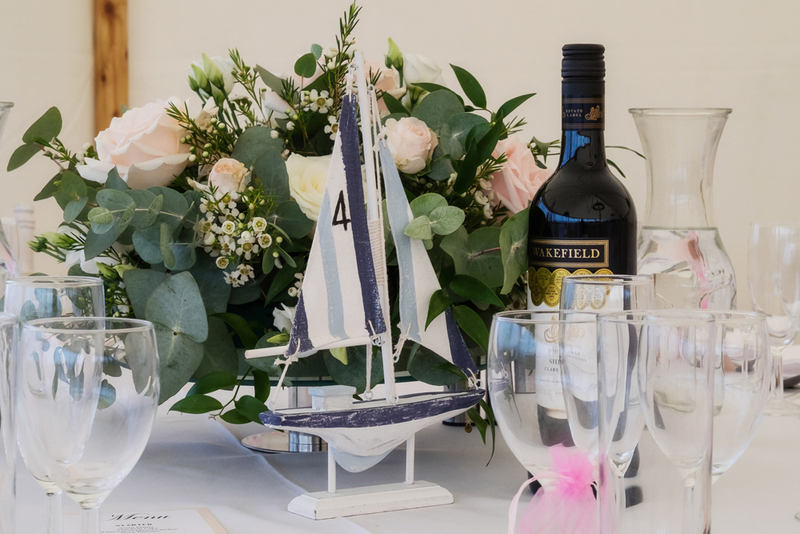 From the home-made sweetie station to the hand painted Yachts as table numbers (a nod to how Sarah and Mat met) it was clear this wedding was all about them. 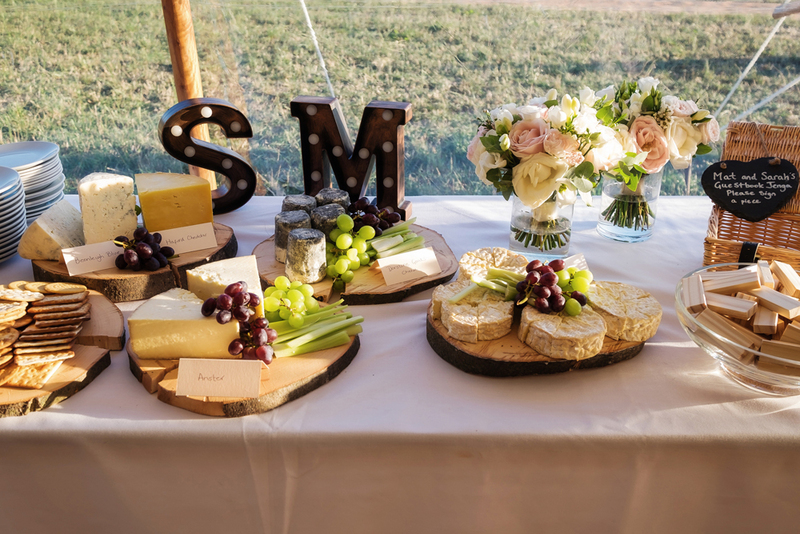 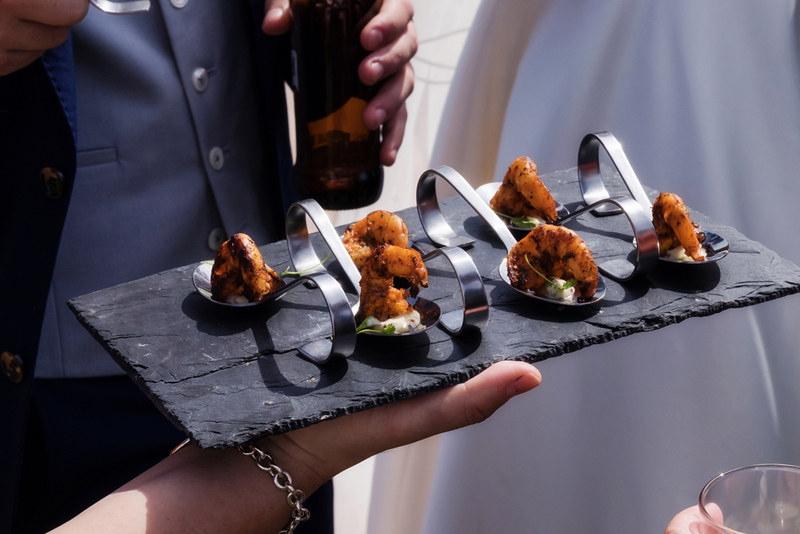 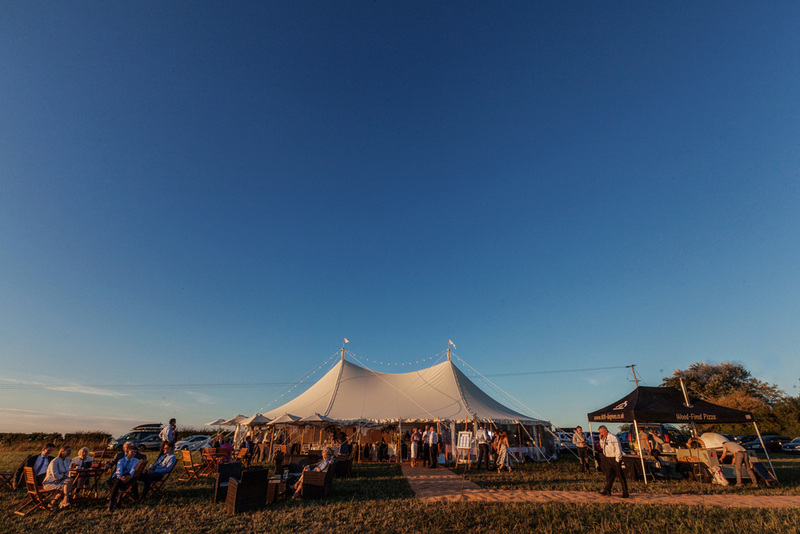 As the sides of the traditional pole marquee were removed to allow a soft summer breeze to flow guests were treated to a sumptuous feast of Asian delights followed by hearty BBQ boards. 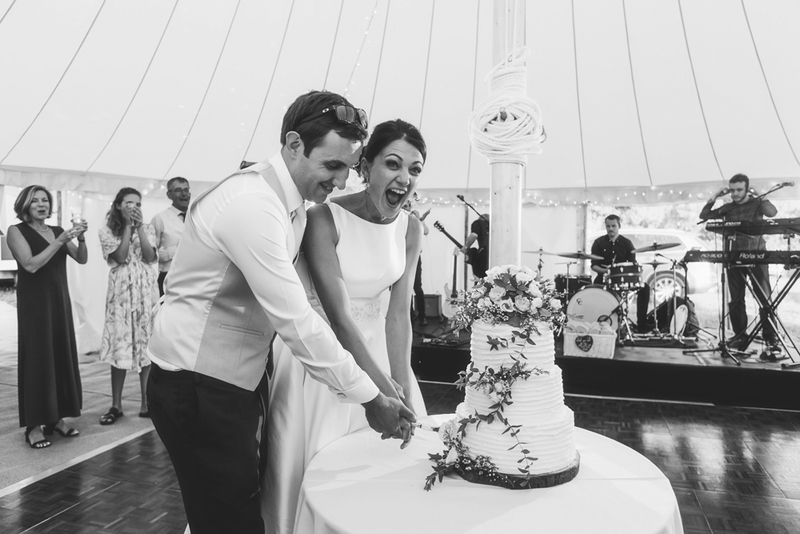 All finished off with the perfect Eton mess (just for granny). 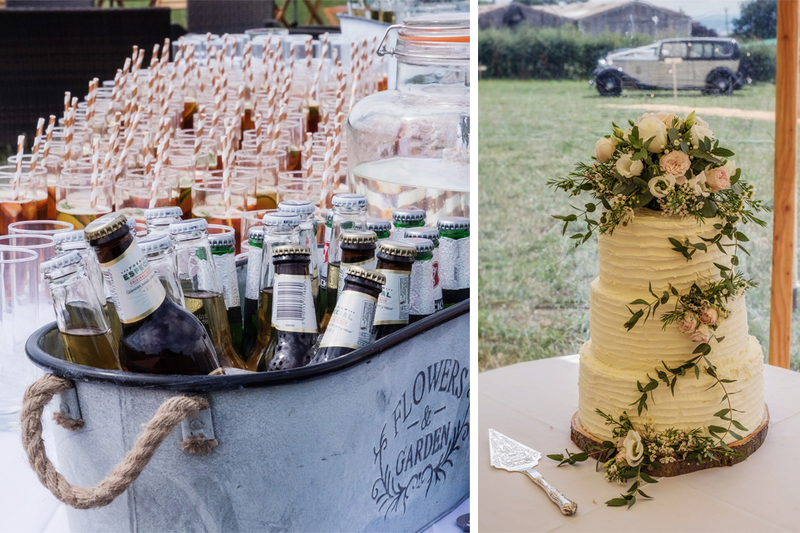 Following the rousing speeches – where nobody dared drink with their right hand – the bar was opened, and the party began. 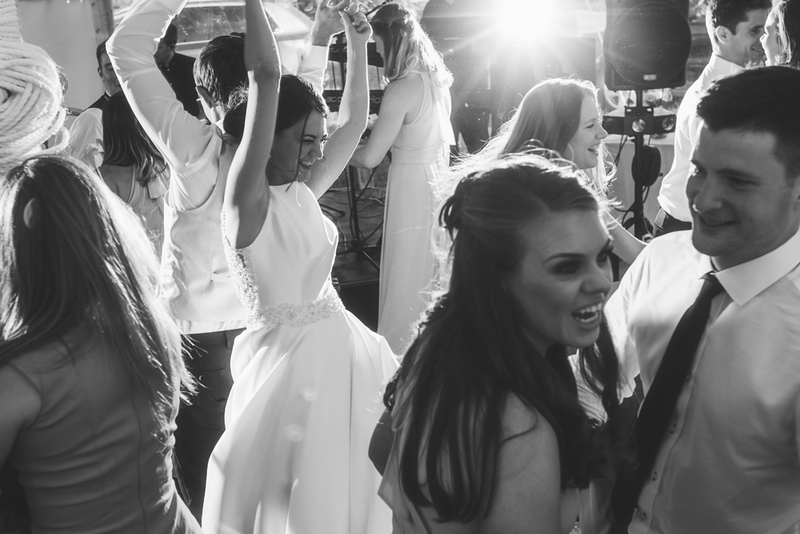 A live band and DJ ensured the dance floor stayed full all night with guests only popping outside to sample the wood fired pizza under the festoon lights. 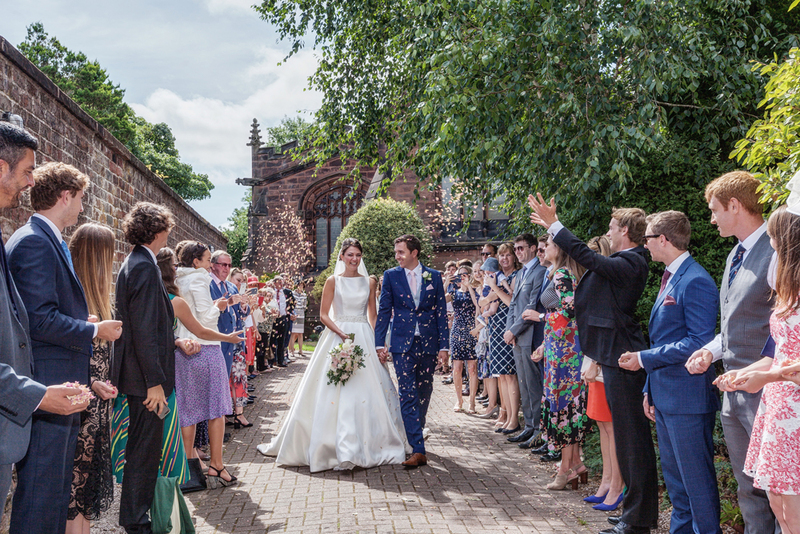 A truly fabulous wedding for a genuinely lovely couple. 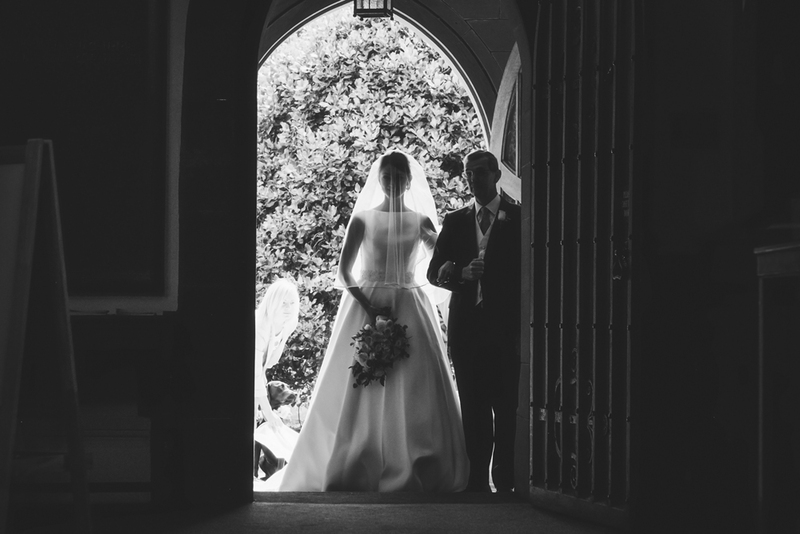 We wish them every happiness together.